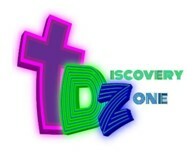 We have two areas for kids' ministry. The Tot Spot is available during the entire service for infants to age four. Because we believe children learn from being a part of our music worship services, The Discovery Zone begins at the end of Praise and Worship for Preschool through Fifth Grade. Our volunteers are experienced teachers who provide interactive lessons and worship experiences tailored to a child's developmental stages.